Single hole mounting. Latches by simply pushing door closed. Housing is made from die cast zinc chrome plated. Knob style has plastic knob. Available with or without locks. Knob style and push lock can be operated without key when left in the unlocked position. Both the knob style and key activated style will unlatch with a 90degrees turn. Push lock is corrosion resistant and unlatches by just pushing the button. 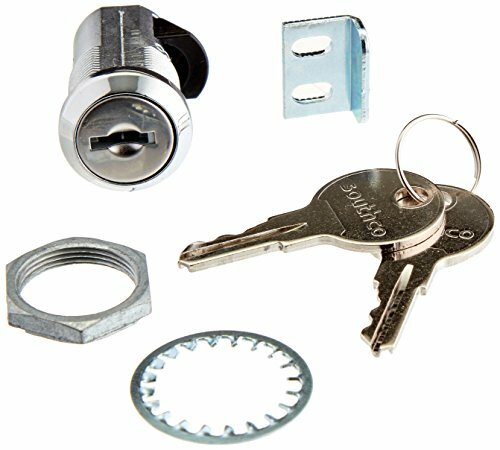 Optional sealing covers available for key activated styles. (Add .09" to grip when using sealing cover). View More In Draw Latches & Tension Latches.